Multiple attractions and events have impacted Branson throughout the years but there are two that are opposite yet have an equal reaction, and these two opposites sure do attract. Shoji Tabuchi and Silver Dollar City might seem as different as you can get, but the influence from each is powerful. Silver Dollar City has been drawing in tourists with that “hill-folk” feel since 1960. Their emphasis on life in the 1880-90’s has been a mainstay in the area, and over the years they have grown to be the largest employer in the Branson tourism industry. Japanese violinist Shoji Tabuchi couldn’t be further from the floppy hat, shotgun-toting, tobacco chewing, hillbilly. 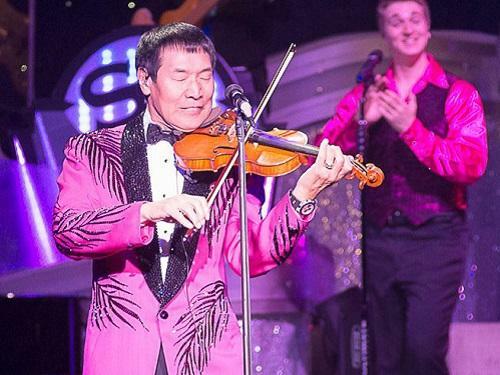 Costumed in sequined jackets and smoking the violin with the music of Bach and Beethoven and breaking into a hoedown to satisfy the Branson tickle, Shoji brings a unique direction to Branson shows. Shoji arrived in Branson in 1980 and began performing at the Starlite Theatre. Silver Dollar City was well established and pulling in guests from around the region. In those days, the standard vacation consisted of Silver Dollar City by day, Shepherd of the Hills Show by night, and if you stayed an extra night, you caught another show and all the shows were country style. In addition, the shows were afterthoughts to Silver Dollar City fame, but Shoji was getting a name for himself and more and more people were flocking to him. The Japanese violinist took a gamble and built his own lush theatre that was completed in 1990. He didn’t build just any theatre, it was almost ridiculously adorned with glistening tapestry and every manner of baroque decoration. It was opulence previously unseen in the Ozarks. Nothing could be more different than Silver Dollar City’s Crescent Moon Outhouse and Shoji’s restroom pool table. So, the town began to evolve. Shoji arguably gave birth to class and production shows in town and tour companies flocked his way. 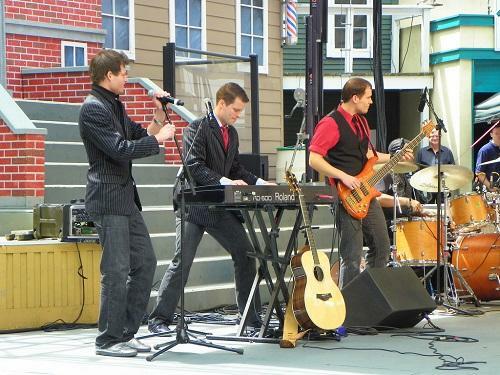 Silver Dollar City kept true to its theme and maintained that strong base of Midwesterners that supported the country music shows. In December of 1991, the TV news show 60 Minutes did an episode on Branson. The main feature was Shoji. The town exploded and Shoji was whisked to fame as the king of the bus industry and show productions. Branson soon became the no. 1 destination of tour buses in the US and Shoji was always at the top of the list as the only production and classy show in town. Andy Williams was soon in Branson, followed by Bobby Vinton and the non-country star list and production shows began to grow. Suddenly, Branson was the show town, not the hillbilly haven. Silver Dollar City began to expand its reach and developed its own productions in addition to adding the Showboat Branson Belle, Grand Village, etc. to its list of attractions. All the while, everyone wanted to see the Japanese fiddler and marvel at the production pizazz. Shoji had a far reach and pulled in more from across the country, while Silver Dollar City still kept a strong base of guests within 500 miles. Times have changed and there are glitzy, non-country shows aplenty nowadays, even Silver Dollar City has its share of them in the park.Shoji is still amazing, although not the giant draw he once was since the bus industry has slowed. Shoji and Silver Dollar City were both once the most well-known attractions in the area but for two very different reasons: Shoji was the class and catalyst for the evolution of production shows; and Silver Dollar City expanded on the Shoji wave while holding true to the themed image of down-home Ozarks. There is one common denominator between the two: quality. There are some deals out there for these two attractions, although you won’t find big discounts. They don’t have to drop their rates; they know you’re going to go anyway! Branson Ticket Deals (link) has a Super Sunday Special with Shoji that drops the price for the Sunday matinee only. You just won’t find a bigger discount for this local legend! Also, Branson Ticket Deals has a two-day pass (two days back-to-back or put a day between) for Silver Dollar City that’s not available at the door and only about $5 more than a one-day pass. To squeeze the most out of a ticket, Silver Dollar City has the “arrive after 3 p.m. next day free.” So, if you have a two-day pass and go after 3 p.m., you go the next day and still have one more day on the ticket! Silver Dollar has a regional ticket that can be purchased at a local grocery store that is valid only on a Thursday and can’t be used for the after 3 p.m. option or upgraded. Nice savings, but be prepared for long ride lines on that day as the locals load the park. For every action, there is an equal and opposite reaction and these two opposites attracted the media and the tourists that caused a chain reaction still felt today. Shoji is bound to retire soon, so you better get moving to catch him; and it’s nice to take a step back in time with Silver Dollar City. Two opposites that are both quite attractive in creating a wonderful vacation experience. Visit both Silver Dollar City and Shoji Tabuchi Theatre, and share your thoughts with us on social media.